Summertime is the season of fresh colors and we’ve had fun in matching some Marinoni design creations with four palettes. 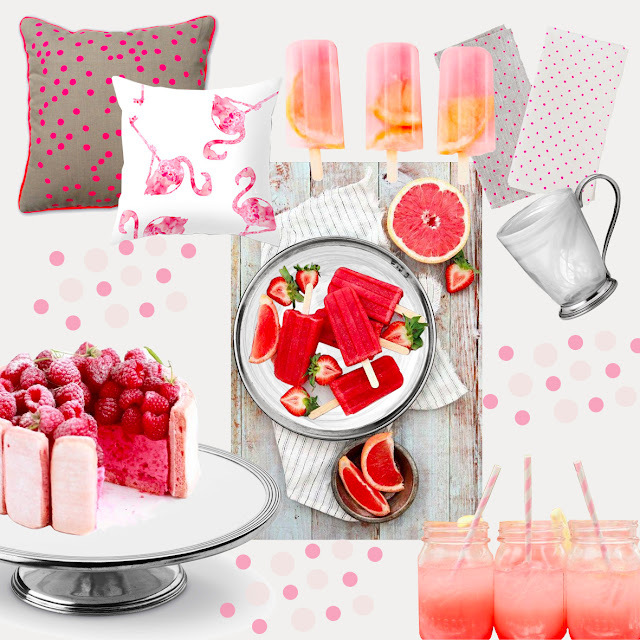 We hope these mood boards will help you living a perfect pink, blue, green or light blue summer day! The first color is PINK. It can be more strong and turn red such as strawberries, or be lighter as a grapefruit is. You can live a pink summer day with the Marinoni pewter and alabaster-white glass cup, fresh fruit served in the alabaster-white glass dessert plate, and a tasty raspberry cake displayed on the pewter and ceramic cake stand. Aren’t they perfect for a party? BLUE is the color of the Ocean and of the deep sea. 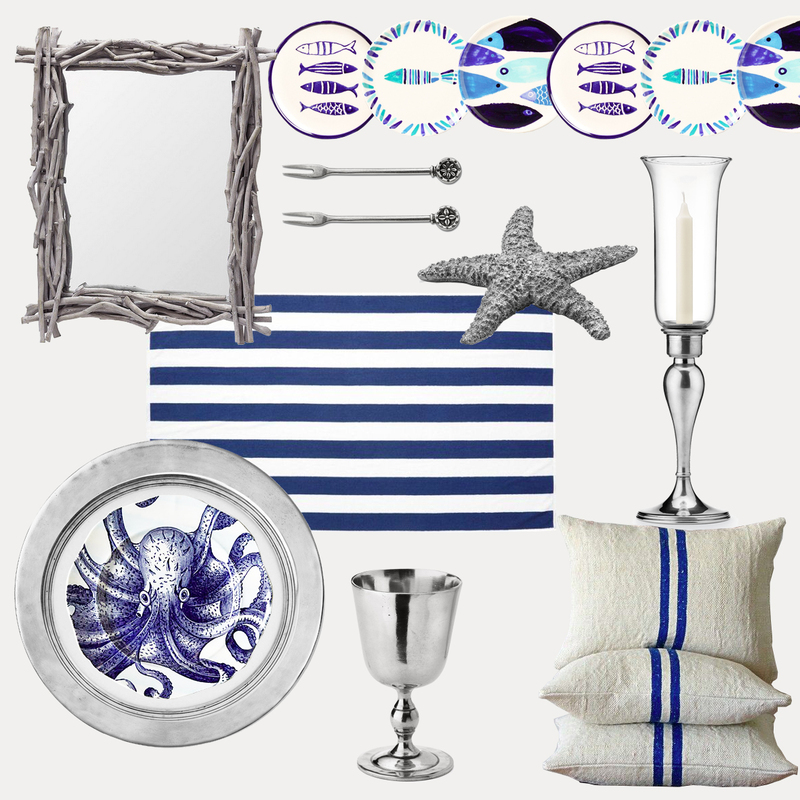 Fish and a starfish, blue and white stripes, an octopus featured on a ceramic plate and the Marinoni pewter plain charger. Can you feel the blue mood? 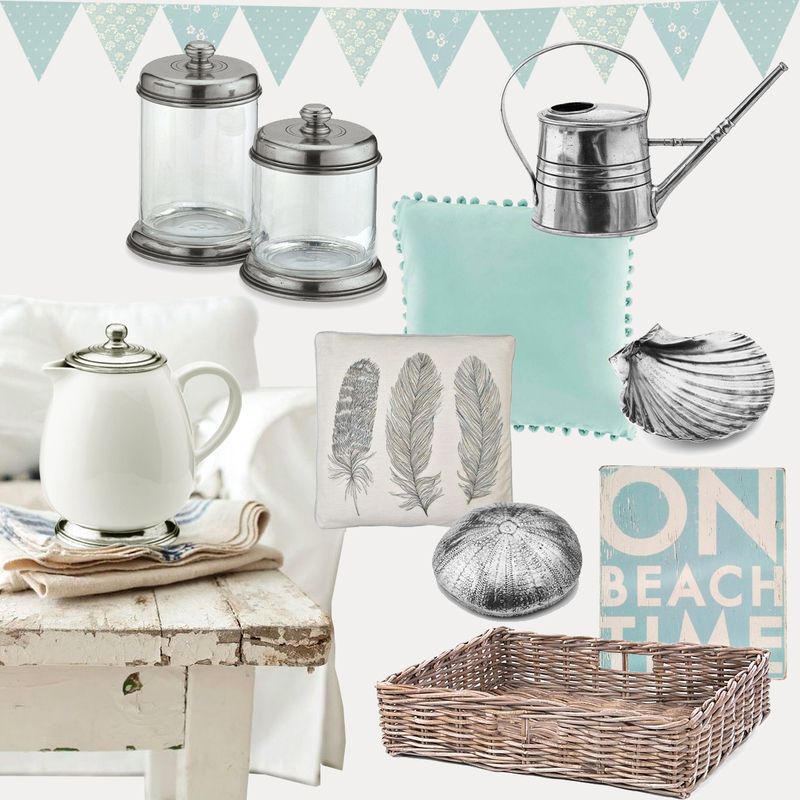 In this mood board you also find the pickle forks, the Marinoni pewter goblet, and one of our pewter hurricanes, That’s the ideal combination for a dinner setting in your seaside house, isn’t it? GREEN mood is both fresh and full of energy. 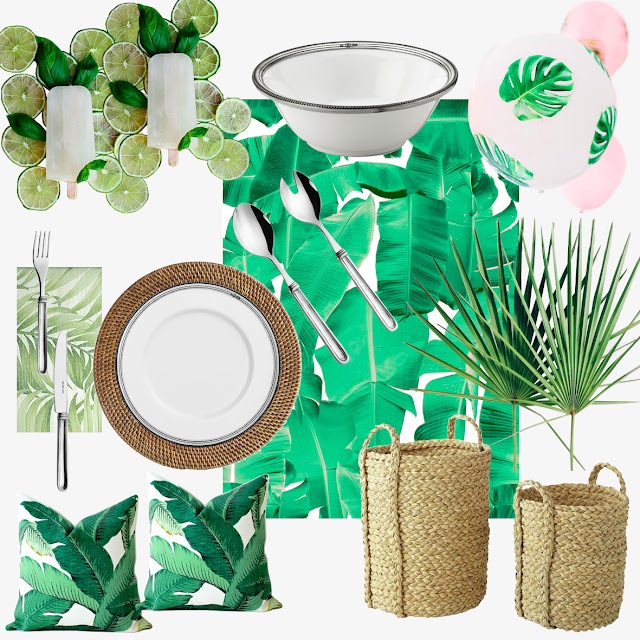 Green is the color of nature and natural motifs and accents are what you’ll see in this mood board. A lime icicle could refresh your day and improve your mood. In this mood board you find a salad set, a table knife and a fork belonging to the Marinoni pewter cutlery collection, one of our pewter and ceramic dinner plates, and the pewter and white ceramic round bowl with beaded rim. Are you ready for a picnic now? Azzurro is the Italian word for the LIGHT BLUE color and it is quite different from the one we use for the blue color. Indeed, the moods inspired by blue and light blue are very different from each other. Azzurro is the color of the sky in a summer afternoon. With the light blue palette we matched the Marinoni pewter watering can, the pewter and ceramic coffee pot, and a couple of pewter and glass storage jars. Light blue is a stress-reducing color, are you feeling lighthearted and relaxed? Is your favorite color one of these? Do you want us to create a mood board for another summer color? Just ask and we'll do it! Have a nice summer with Marinoni.